From bringing back Tipu Sultan's sword to India to getting elected to the Rajya Sabha to owning IPL team, football and Formula One teams, there seems to be little Mallya has not done to showcase his glamorous life alongside business success. Vijay Vittal Mallya needs no introduction for all the good and bad things. If 'luxury' needs its definition it could be Vijay Mallya with no exaggerations. His multiple business interests and glamorous promotion techniques also got him the nickname of the "Richard Branson of India". The launch of Kingfisher Airlines reinforced that image but what fared better than the airline was the playful Kingfisher calendar. The Kingfisher Airlines became a dead fish in 10 years and led to the 'great fall' of his empire. The touted 'king of good times', Mallya fled to Britain in March 2016 after being pursued in courts by multiple banks seeking to recover about Rs 9,000 crore owed by his Kingfisher Airline. Despite multiple warnings, he has failed to appear before investigators at the Enforcement Directorate in connection with a probe under the Prevention of Money Laundering Act (PMLA). A special court in April 2016 issued a non-bailable warrant against Mallya rejecting Kingfisher Airline's plea that said the allegations were "false and incorrect". 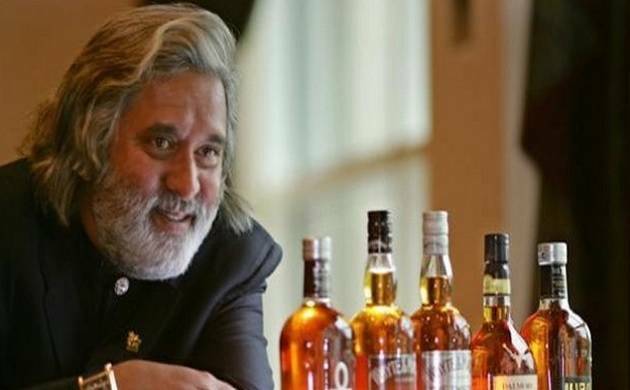 In June 2016, he was also declared a 'proclaimed offender' in a money laundering case being investigated by the Enforcement Directorate and directed the 'liquor baron' to appear before the court by July 12. The Debt Recovery Tribunal in Jan 2017, ordered Sebi and banks to start the process of recovering Rs 6,203 crore at the interest rate of11.5 per cent per annum from Mallya and his companies including UBHL, Kingfisher, Finvest and Kingfisher Airlines. In Feb 2017, India formally placed its request to U.K. High Commission and sought extradition of absconding tycoon Vijay Mallya. Recently, Mallya's prime property, Kingfisher Villa in Goa was sold to Bollywood actor and businessman Sachin Joshi. However, all this was happening in India while Mallya was enjoying his life in London until Today when he was arrested by Scotland Yard in London as Extradition hearing in Court started. Now, the CBI team will soon visit London to complete the extradition process to bring him back to India. He is likely to be extradited to India at a later date as the extradition talks are on between India and UK to get him back.